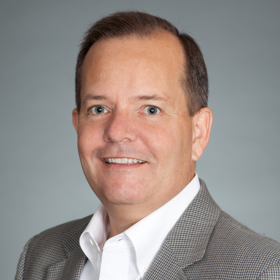 Loyd Olson is the chief operating officer (COO) and senior vice president of sales at USAN. He is responsible for delivering competitive and feature-rich products and services to USAN customers while ensuring that day-to-day operations are aligned with corporate objectives. Loyd joined USAN in 2011, serving as senior vice president of sales and marketing. Before USAN, Loyd spent 10 years with Interactive Softworks where he was an equity partner and COO. Prior to USAN and Interactive Softworks, Loyd was the chief marketing officer at eShare Technologies, Melita International, and Fourth Shift. He also held sales positions at General Electric (GE), and he served as a process engineer at Rockwell International. He holds a bachelor of science degree in manufacturing engineering from the University of Wisconsin and a master of business administration degree in business marketing from the University of Iowa.